Korn Ferry’s Rosie Jacobs talks with Rising Leaders participants Alex Hsi and Synne Emilie Stålesen. 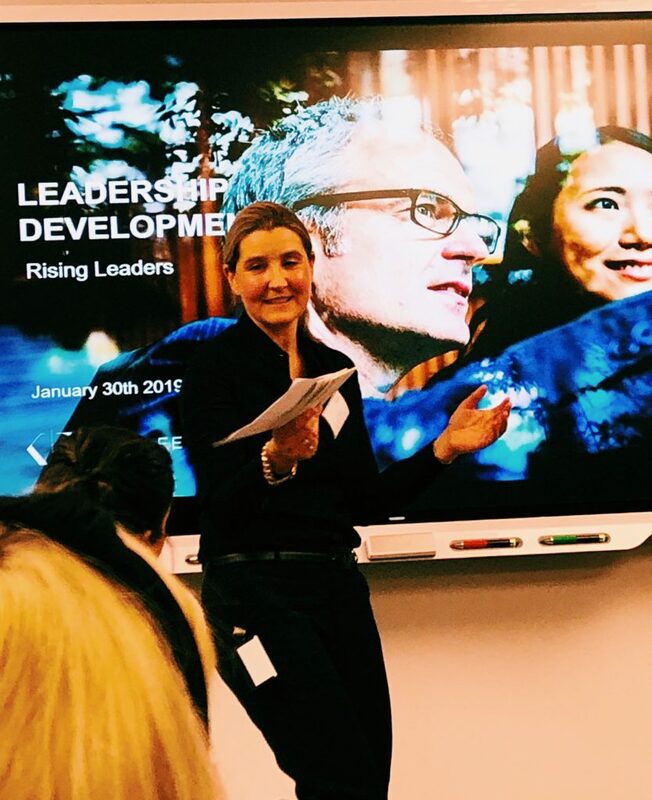 Hosted by Simonsen Vogt Wiig, the Rising Leaders program started 2019 on a strong note with their latest event, bringing in consultants from Korn Ferry who provided program participants with exclusive, personalized analysis of their professional and personal capabilities. Having completed the same in-depth survey used by Korn Ferry in their executive search procedures, program participants received detailed feedback as consultants delved into their backgrounds – giving them tailormade, research-driven advice on how to enhance their job market attractiveness. The consultants provided advice on how participants could develop their leadership skills and boost their personal brands, in addition to custom reports highlighting the data behind their consultations. 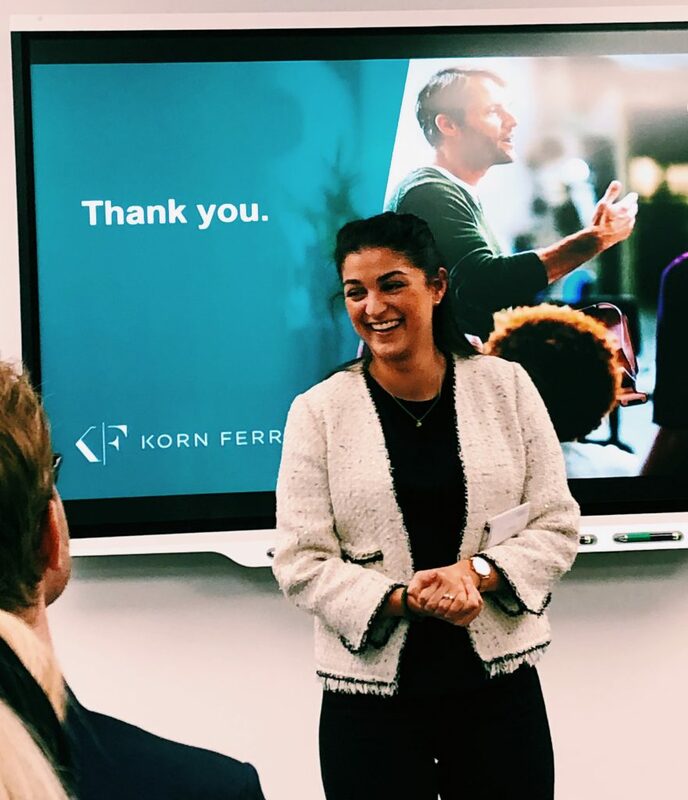 The Rising Leaders participants thoroughly appreciated the valuable insights that Korn Ferry was able to share into how they can grow as young leaders, noting that the advice given during their individual sessions was both highly actionable and sharply focused. Program participants were given the opportunity to learn about both Simonsen Vogt Wiig and Korn Ferry during the two-hour session. Simonsen Vogt Wiig HR Director, Anette Moulin, gave a wide overview of the firm, highlighting both their student programs and the broad cross-practice expertise that has seen them become one of Norway’s leading law firms. Simonsen Vogt Wiig’s Anette Moulin taking a moment to discuss the firm with program participants. Korn Ferry’s Tara Jahangiry concluding her presentation. Korn Ferry’s Rane Roth and Rising Leaders participant Georgeta Negraru during her consulting session. 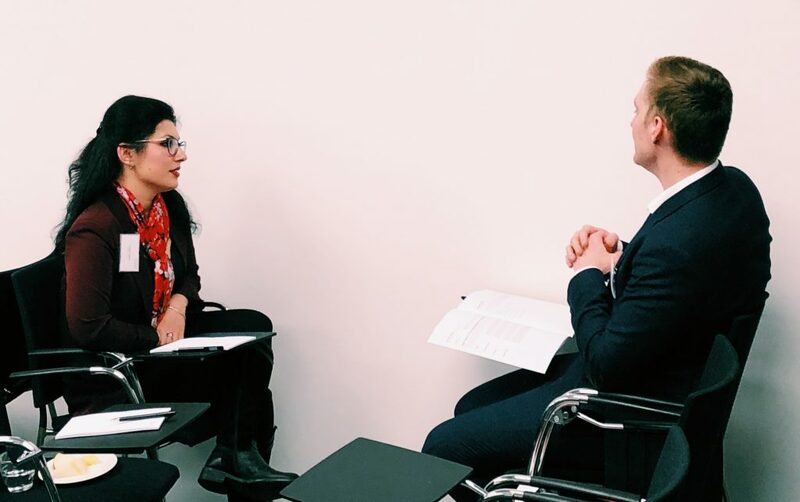 Senior Account Manager at Korn Ferry, Tara Jahangiry, gave participants an in-depth look into the company, discussing how their data-based approach to strategy formulation, talent acquisition and leadership development sets them apart. In addition, she expanded upon the importance of people to companies, noting how the “CEO Blind Spot” leads many corporate leaders to undervalue human capital while overvaluing other assets such as technology. AmCham would like to thank Korn Ferry and Simonsen Vogt Wiig for their continued support in developing the Rising Leaders program into of one of the premier arenas for young talent in Oslo. 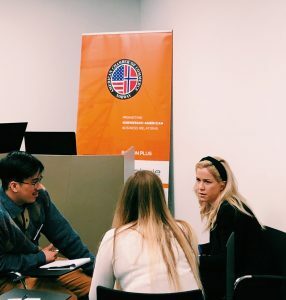 Rising Leaders is an initiative of the US Embassy and AmCham to provide access for young, up-and-coming leaders from diverse backgrounds to high-level representatives of the established business community. AmCham Managing Director Jason Turflinger and US Ambassador Kenneth Braithwaite officially inaugurated the program in April of this year. The 23 program participants — consisting of 11 women and 12 men between the ages of 22 to 32—have demonstrated leadership, entrepreneurial, and/or business excellence in their educational pursuits and careers thus far. Participants engage business leaders, learn about AmCham member companies and gain business and leadership skills. For more information about the program or to learn how your organization can get involved, please contact tb@amcham.no.